Bringing back to life a tired bathroom does not require a complete overhaul. In fact, you can add chic and character without spending tons of money. I admire everyone who manages to incorporate traditional, vintage, and contemporary vibe to their dream bathroom design. I decided to start my selection of bathroom tub and shower ideas with this ultimate retreat. The specific lighting adds a dramatic effect that makes this bathroom design even more stunning. 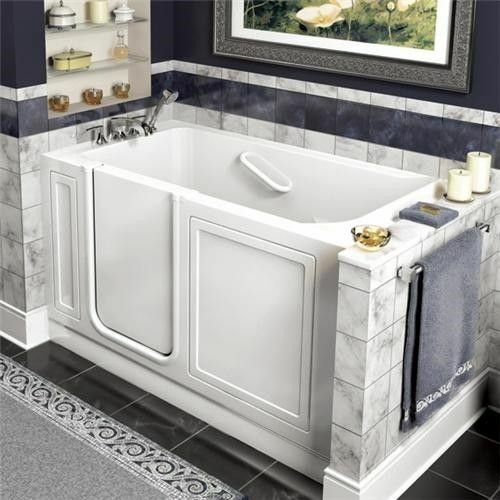 It’s a classic drop-in tub with tiled surround. The colors enhance the spa-like vibe of this washing room. 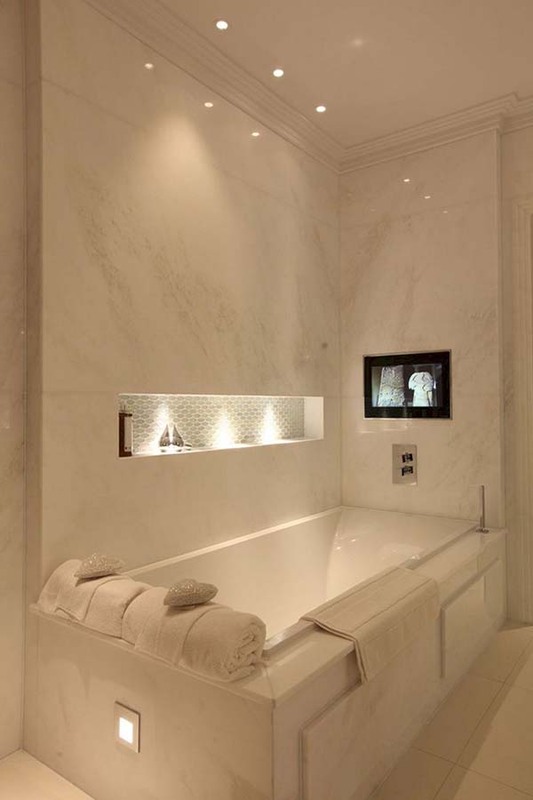 Curled up in a platform of marble, this all-white bathroom tub is the pure definition of magnificence. Thanks to the clean lines and the rectangular shape, it has a very modern and stylish design. 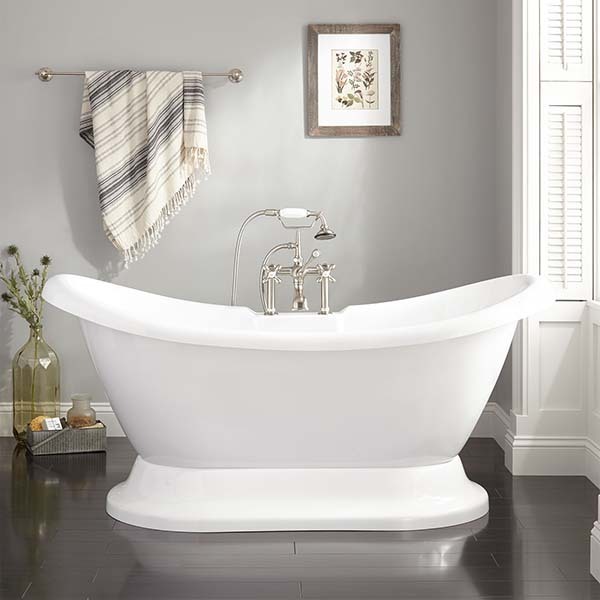 This freestanding tub reflects an updated cottage style. Tip: When designing your own bathtub hideaway, consider not only the bathroom tub but its surroundings, such as the walls color and lighting. The whiteboard panels and pretty little table complement the cottage-inspired tub and give the room a finished stylish look. Are you a fan of the bathroom shower and tub ideas? 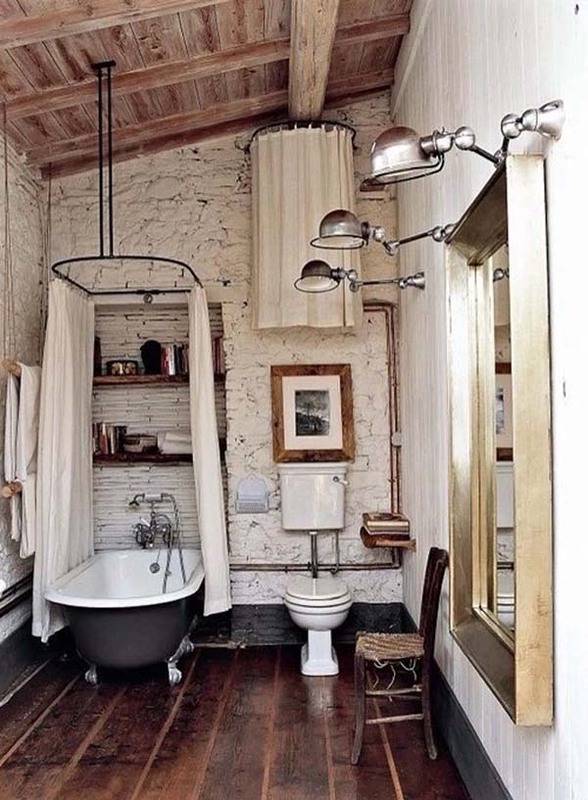 If so, then mix together a rustic bathroom design and an old-fashioned freestanding bathtub for an ideal vintage look (as shown on the picture). 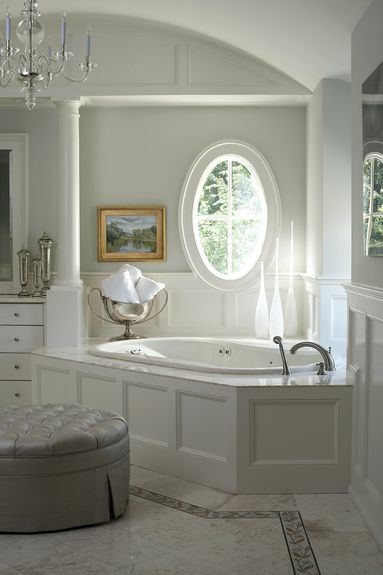 This oval-shaped bathtub design is one of my most favorite small bathroom ideas with tub as it makes the little room looks more spacious and it is extremely stylish. A one-of-a-kind design like this one surely adds architectural interest to a bathroom, and large built-in wall shelves provide a functional spot for towels and bottles. 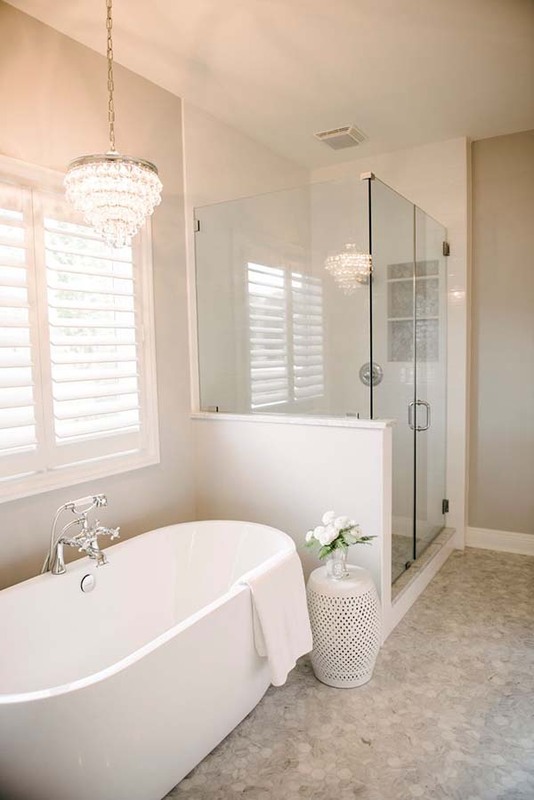 The minimalistic tub design transforms this traditional freestanding all-white bathtub into a real show-stopper. 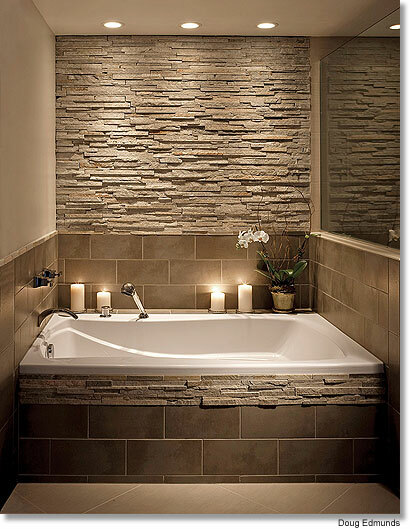 If you are hunting for some cool bathroom tub surround ideas, take a look at this simple but incredibly stylish decor. Ladies and gents, this is surely one of the most innovative bathroom ideas with a tub you might find on the internet! The smart technology allows you to exit the bathtub when you are done so there’s no long wait for all of the water to drain before you can open the door to exit. I know that choosing the best master bathroom tub ideas that fit your own taste and style can be really tough. Take a look at this beautiful rustic design. The pops of bright and showy colors make an even bolder statement in this otherwise neutral rustic bathroom design. 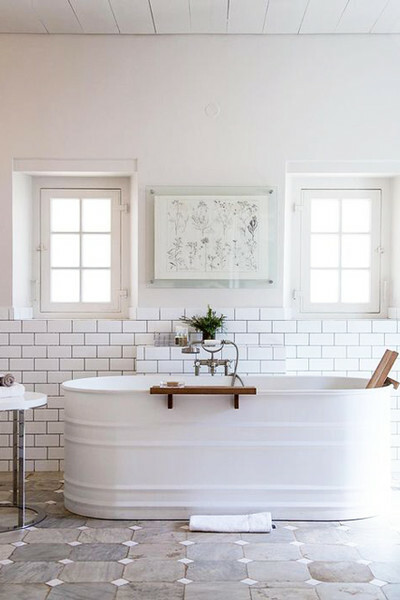 Just add a trough bathroom sink and you’ll have the perfect farmhouse bathroom design. There is usually enough space under the bathroom to be arranged as a storage system. To do this, simply isolate this space from the rest of the bathroom with sliding doors, solid or perforated. This design creates a truly aesthetic appearance. Imagine how great it would be to enjoy this view while soaking in the bathtub? The concept of sticking to earthy tones, such as browns, yellowish, and neutrals, gives the room that natural, unpretentious feel. There is a lovely harmony between the greenery inside and outside. 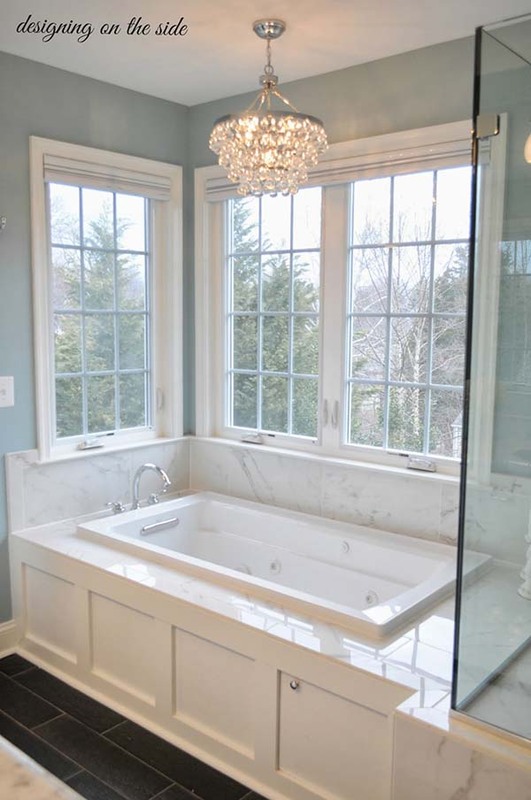 This ultra elegant, European-inspired bathtub lounge is the true centerpiece of this master bathroom. The abundant natural light and the stunning marble mosaic-tile flooring make this an ideal spot for meditation. Speaking of small bathroom ideas with tub, this cornered bathtub is a real space-saver. Besides, the eccentric wall decor brightens up this bathroom and makes it more joyful without losing that rustic look. 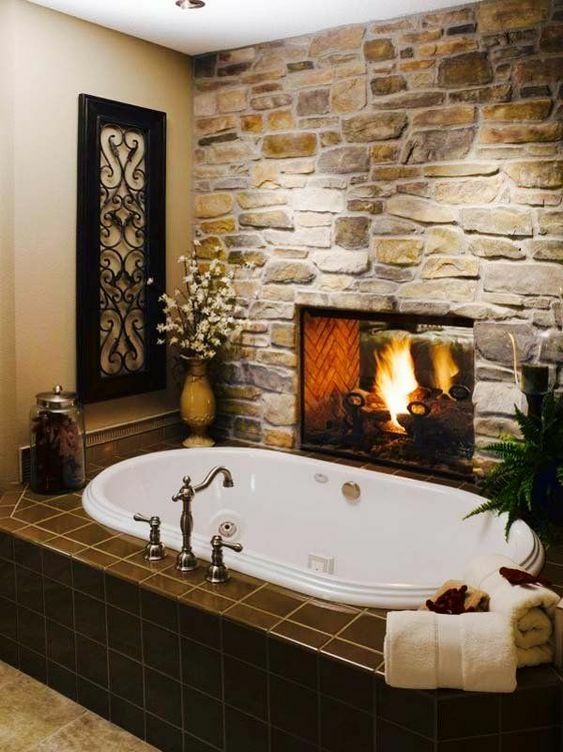 What a better match than a bathtub close to the fireplace? That would be everyone’s favorite spot in the house! The accent tiles in a dark shade of brown create an elegant contrast and make a strong visual statement. 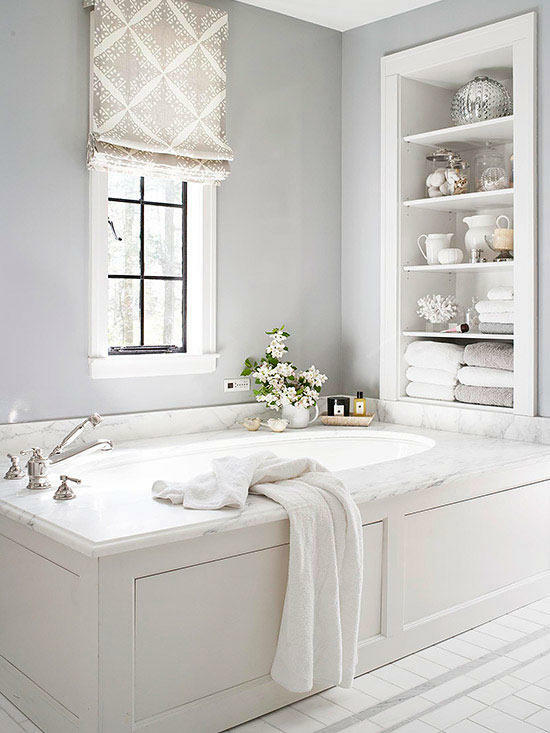 This all-white master bathroom presents one of the timeless bathroom tub decorating ideas. The oval-shaped tub, the great amount of natural light, the marble countertops, and the high ceiling make space looks even more spacious than it actually is. 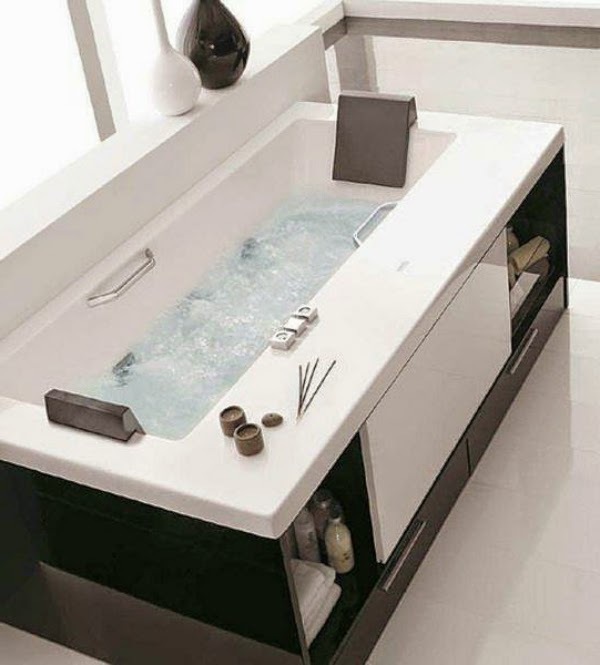 This bathtub design is an elegant mixture of peerless style and understated simplicity. Although small, the metal hardware and details fall in line with the simple yet elegant vibe of the space. In a sea of snowy white walls and gray-veined marble, the extremely elegant tub is definitely the centerpiece in this sophisticated neutral bathroom. 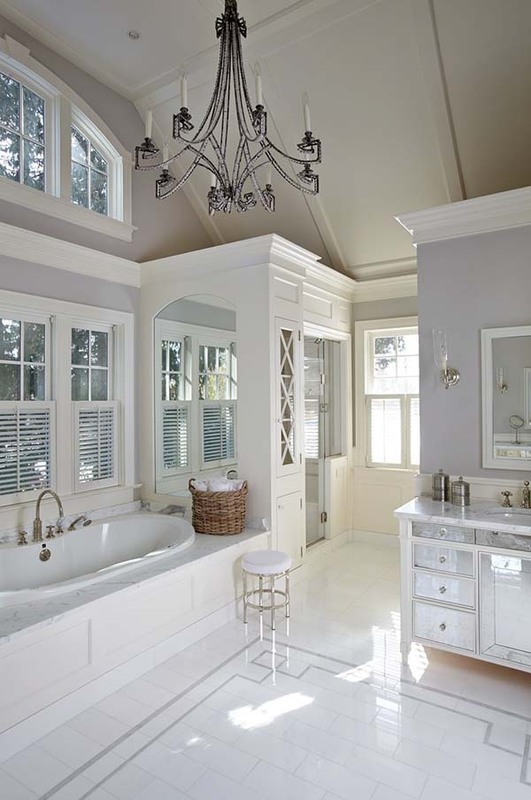 The silver spins out the hints of gray in the marble flooring. 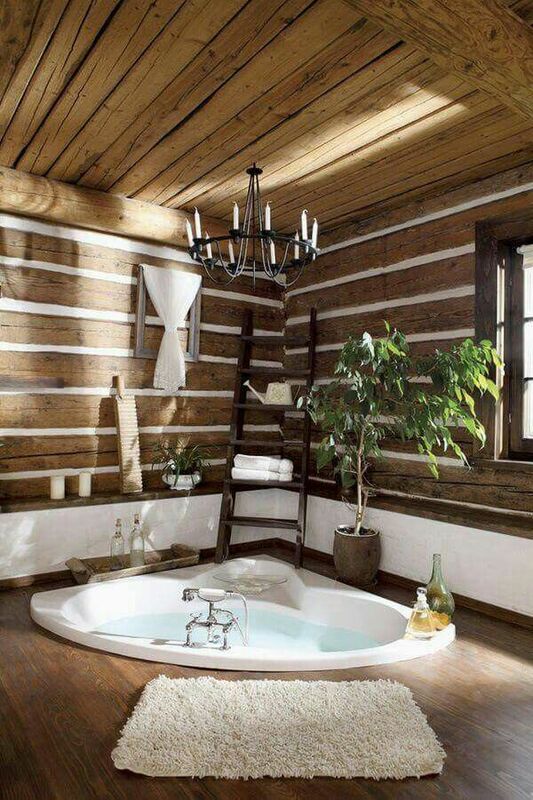 Can you imagine this tub comes from a livestock feed tank? Taking that look and adding a white paint, a vintage-inspired faucet, and a bunch of wood shelf details makes this a dream bathtub!